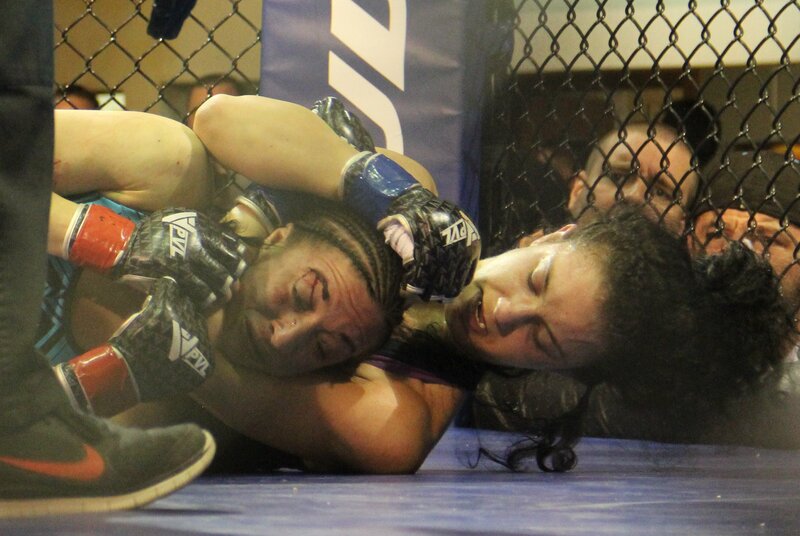 It only took Jeannette “SweetNutz” Pomales 53 seconds into the first round of her Amateur debut to knock out opponent Kerri Kennison! Pomales landed a vicious right hand to the eye sending Kennison staggering to the ground! Pomales starts her MMA career 1-0 with a win ! 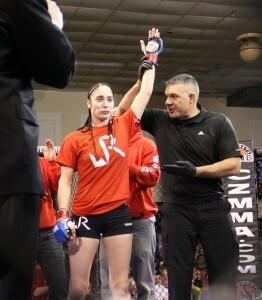 Check out Jeannette’s knock out win! Hannah Murello won her debut fight against Lisa Della Russo in 55 seconds into the second round. It was a all out brawl with Murello finishing Della Russo with a Rear Naked Choke. Murello also went on to win fight of the night.